The Federal Government has released draft legislation to establish a new national definition of homelessness to include caravan park and boarding house residents with no formal lease. The national definition for homelessness is to be broadened. The draft legislation is set to provide greater recognition of the needs of people who are homeless or sleeping rough, one of the recommendations of the White Paper on Homelessness. Minister for Housing and Homelessness Brendan O’Connor has called for community sector comment on the exposure draft of the Homelessness Bill. The Bill will replace the old Supported Accommodation Assistance Act 1994, under which the Commonwealth Government provided grants to the States and Territories to fund homelessness services. The draft now includes a broadened definition of homelessness to include living in a caravan park or boarding house. the person is living in a boarding house, caravan park, hostel, refuge, shelter or similar accommodation, whether on a short-term or long-term basis, in respect of which the person has no secure lease and the person is not living in that accommodation by choice. The matter of proposed homelessness legislation was referred to a House of Representatives Committee. The Committee made 15 recommendations, nine of which related specifically to the legislation. The Government says it will soon table its response to the report in Parliament. “These recommendations have been incorporated into the draft Bill to the extent possible within the constraints of the Australian Constitution. “Many submissions to the Inquiry called for a ‘rights based’ approach to the legislation. However, the Commonwealth has no express Constitutional power to comprehensively regulate on housing or homelessness. As such, the draft Bill aims to capture the Commonwealth’s goals and objectives but cannot impose any obligations or confer any rights,” O’Connor said. recognise the importance of strategies to reduce homelessness, including early intervention and prevention, appropriate accommodation options, and ongoing service and support. “It will complement existing homelessness measures including the work already underway with State and Territory Ministers to develop a National Quality Framework (NQF) for homelessness services. The NQF will achieve better outcomes for people who are homeless by improving the quality and integration of services they receive," O’Connor said. RMIT Professor Chris Chamberlain, co-author of the Australian Bureau of Statistics ‘Counting the Homeless’ report, said he was “generally very positive” about the proposed Bill. In an interview with Pro Bono Australia News, Chamberlain made the point that in reality – when people are often forced into caravan parks or boarding houses – it is not easy to determine if that person or family made a conscious choice to live in what is often insecure housing. The issue of choice, Chamberlain said, was too vague to be caught by a definition. 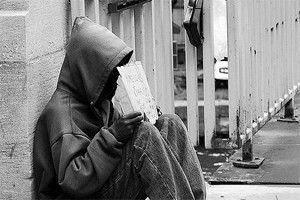 Chamberlain, along with Swinburne University’s David MacKenzie, developed the ‘cultural definition’ of homelessness in 1992, currently used by the Australian Bureau of Statistics (ABS) to count the number of people living in homelessness. Submissions on the Draft Legislation are invited until 3 August 2012. Click here to view the draft Homelessness Bill and provide comment.